• 80 percent of children’s products marked as gentle and non-irritating contain ingredients linked to allergies and skin or eye irritation according to government and industry sources. The bottom line however, is that if you are not sure what the ingredients on the shampoo bottle label mean then perhaps stay away from it. If you can’t pronounce it, you probably don’t want to put it on your body anyway. Each country will offer different ingredients in their shampoos as each country has different regulations. 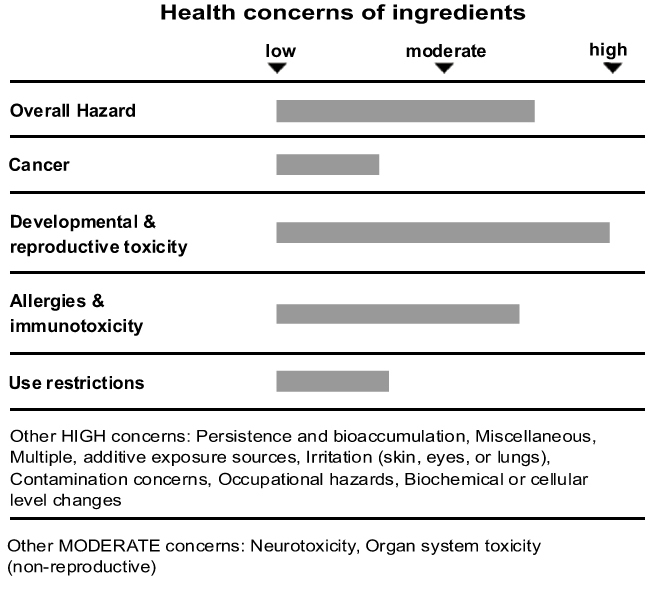 The following table shows the health concerns based on commonly used shampoo. If you have any shampoo recipes that work well, please share them with us. Find out more about Nature’s Way here.